97.2% positive (36) everything received in superb condition , thank you very much ! recommended seller!!! 100.0% positive (14) This seller was incredibly fast receiving the order and sending the package. Thanks very much. 100.0% positive (4) No problems at all. Great seller. 100.0% positive (56) Very pleased! 100.0% positive (153) Quick dispatch, thanks! 100.0% positive (36) All good trasaction. Quick delivery, good communication, goods as advertised. 100.0% positive (549) Perfect, thanks!! 99.6% positive (558) Outstanding value for money and service. 100.0% positive (29) Tutto molto, molto bene!!!! 100.0% positive (84) Excellent, thank you. 100.0% positive (79) Perfect seller. Items arrived quickly, well packaged, and exactly as described. Good communication throughout. 99.1% positive (226) Excellent service. Highly recommended. 100.0% positive (54) Shipped really fast. Great quality. 100.0% positive (7) All arrived well packaged and Mint - sealed as described. Thank you very much ! 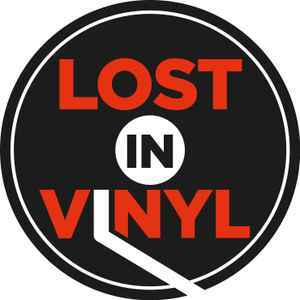 100.0% positive (23) Superb service from Lost In Vinyl as always, thank you. 100.0% positive (4) Fast dispatch and delivery, will be buying again. Thanks. 100.0% positive (8) Great communication, a fair price and quick shipping - thank you! 100.0% positive (83) My album arrived quickly, safely packaged and in excellent nick. Thank you. 95.9% positive (49) All good, fairly priced with a speedy delivery. 100.0% positive (2) Prompt shipment. Item well packaged and as described. Recommended! 100.0% positive (61) Fast delivery, all good, thanks. 100.0% positive (52) Excellent condition, great price, fast delivery - perfect, thanks! 100.0% positive (31) Great seller! Thank you! 97.9% positive (47) Thank you!! 95.2% positive (21) What can I say but super service a nice bit of correspondence just to say how things were going ,can't ask for more . Would highly recommend this seller!!!!! Buyer pays for full shipping cost. Please note! We do not send any of our items to Russian Federation, China, India, South East Asia, South America or Africa. Please do not place an order if you live in one of these countries - sorry! We will only ship items under £10 by standard airmail to European Zoned countries. Any order over £10 will need to be sent by insured shipping. UK (including Channel Islands) - £1.30 second class mail or £1.70 first class mail. European zoned countries - £4.20 standard airmail for items under £10 or £9.00 for tracked and signed insured airmail for purchases over £10. United States & Canada - £10.00 tracked and signed airmail. Australia, Japan and New Zealand - £10.50 signed for airmail. If wishing to purchase 2 or more CD's or 7"s, please get in touch for combined shipping costs. UK (including Channel Islands) - £3.50 second class mail or £4.00 first class mail. European zoned countries - £13.00 for tracked and insured shipping. United States & Canada - £17.00 tracked and signed airmail. Australia, Japan and New Zealand - £17.50 signed for airmail. If wishing to purchase 2 or more LP's, please get in touch for combined shipping costs. We will only sell to the above countries - we do not send to Russian Federation, China, India, South East Asia, South America, Africa, sorry! Please note that all PayPal payments need to be made using the same shipping details that you provided through Discogs. If you have any questions on the above, please do not hesitate to ask.